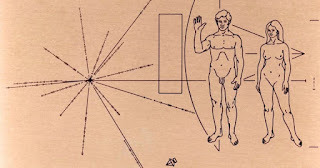 The Pioneer 10 spacecraft was launched in 1972 and was designed to leave the solar system and, possibly, encounter other life forms. 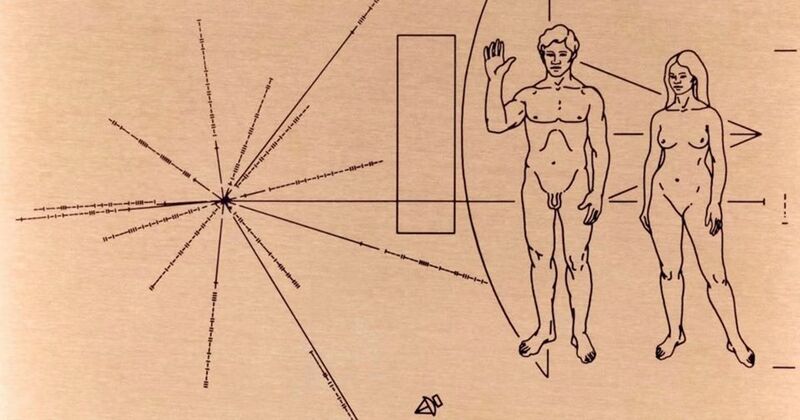 It carries a plaque showing a pair of human beings, a male and a female, as a way to introduce us to aliens. Quick. We should send up a new satellite apologizing for our first one which is obviously outdated and offensive. This next plaque should be much larger with a full array of our hundred or so different genders. Religious theory is a crime.